Friday evening, April 4th was witness to a singular event in perfume and opera history. Prior to the New York Metropolitan Opera performance of Madame Butterfly, members of the cast and guests at a pre-performance cocktail party were treated to a perfume that transforms Puccini’s musical notes into olfactory notes. Cio-Cio’s story of innocence, passion, betrayal, and death has entered a new dimension: fragrance. 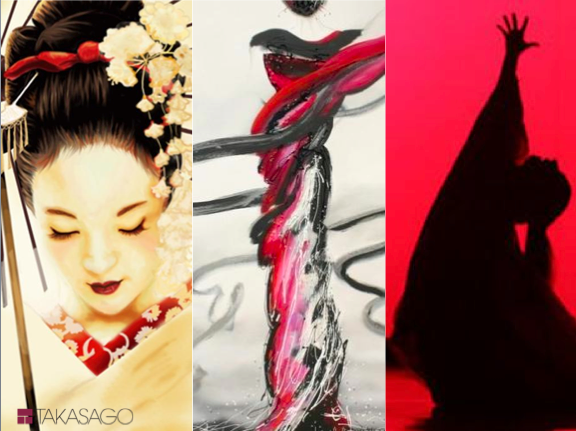 Takasago, a major international producer of flavors and fragrances headquartered in Japan, commissioned two Master Takasago perfumers, Antoine Lie in Paris and Patricia Choux in New York to interpret Madame Butterfly’s story. Blending Asian transparency and Western opulence, ‘Madame Butterfly’ the fragrance, echoes the dominant reds of Anthony Minghella’s stage designs, and evolves from an evanescent pink to the glowing flaming red of love, and ultimately to the deep crimson of death. Opening with pink notes, pure, transparent, and ephemeral, the fragrance evokes the youthful Cio-Cio’s untainted innocence. As the fragrance develops, this petaly, soft transparency transforms into an addictive, profoundly flamboyant red heart as Cio-Cio burns in a passionate, vibrant love, and then flourish in an embodiment of her undying hope for eternal love. 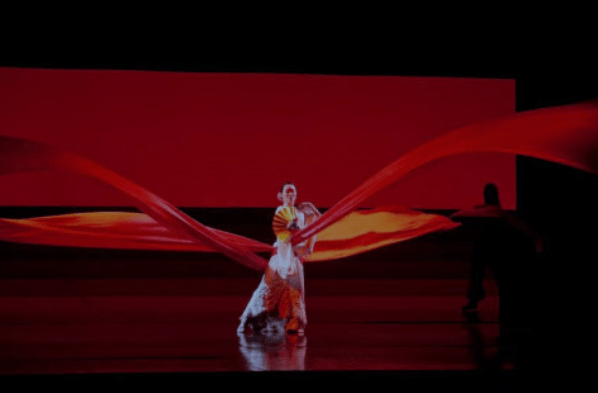 As passionate love culminates into the deepest of betrayals, the base notes and dry down portray the dark and tragic fate of Madame Butterfly. Fine artistic fragrances, similarly to opera, tell a story. Fragrances introduce the plot in the top notes, develop it in the heart notes, and bring it to conclusion in the base notes. Exceptional fragrances also leave a lingering trail like a tantalizing theme in the final dry down, a theme to be played and replayed in memory like a dream. Like myself, many of you are opera lovers and have lived (perhaps a thousand times) Cio-Cio’s heart-rending story and fate. Now, there is a fragrance to accompany this passion, and although (sadly) it will not be commercially available, I’m sure that if you close your eyes and take a moment to unleash the passions you feel when experiencing this opera, you can imagine the potential beauty of Madame Butterfly’s fragrance. Such is the power of art, and like opera, music, literature, and others, perfume has an important place in this world of the imagination, and can hold its own among the greatest. Have seen the opera and love your descriptions of this fab perfume. It must be a profound scent of all that is delicious and beautiful. Great article-enjoy your writing and visualization!! You summed it up well.